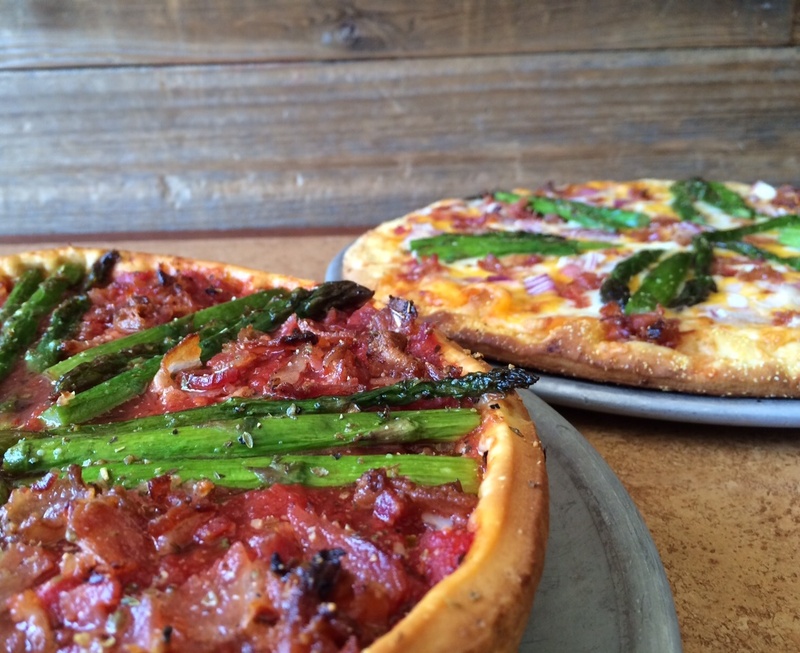 This week we are featuring a new pizza! It has asparagus spears, crumbled bacon, red onion, jack and cheddar cheese. It’s available stuffed or thin and will only be around for a limited time at all four of our locations, so try it soon!